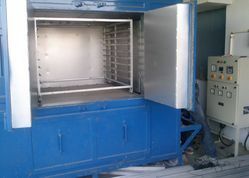 Manufacturer of a wide range of products which include s r furnace and heat treatment ovens. 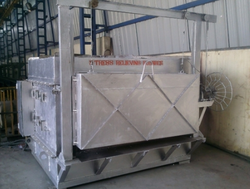 We are into manufacturing, supplying, trading and exporting a comprehensive S R Furnace. These furnaces are manufactured using optimum-grade stainless steel and other basic components in accordance with the well-defined parameters of the industry. Developed with utmost perfection, these furnaces are available at industry leading prices to attain maximum satisfaction of customers. The S R Furnace offered by us is known for minimal maintenance, high tensile strength, easy operations and longer service life. We are one of the renowned organizations, occupied in providing a premium quality series of Heat Treatment Ovens to our esteemed patrons. The provided products are made from professional’s employing the high technology. Our professionals have prosperous skill of this domain. We provide these products to our customers in several technical specifications as per industry standards. We deliver the offered products at nominal prices.